IPL 2019, KKR vs DC LIVE score: Can Delhi Capitals stop rampaging Russell? The standard of umpiring in the ongoing IPL has been the subject of a raging debate and Mumbai Indians Director of Cricket Operations Zaheer Khan feels the more pressure you put on the umpires, more difficult it is going to get. 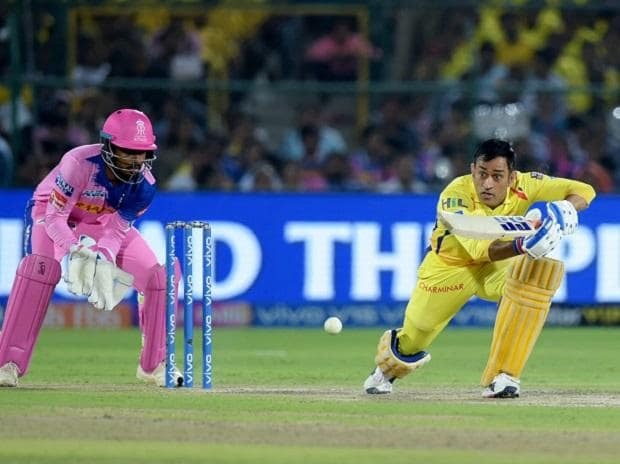 Revered for his 'captain cool' demeanour, Chennai Super Kings skipper Mahendra Singh Dhoni uncharacteristically lost his composure and rushed out of the dug-out to challenge umpire Ulhas Gandhe following his no-ball flip-flop during an IPL match against Rajasthan Royals on Thursday night. "Well I think a lot of things have improved and there is always room for improvement. So in terms of standards of umpiring, it's not an easy job and the more pressure you put on them (the umpires), it's going to be even more difficult," said the former left-arm pacer. "You know as long as the right call has been made it is fine. Yes in this tournament so far we have seen few incidents where things have gone little out of hand, but as long as the umpiring is consistent throughout the game, then it should be ok," Zaheer told reporters here on the eve of Mumbai Indians game against Rajasthan Royals. While Dhoni was let off with a 50 per cent fine on his match fee, former cricketers have come down heavily on him, saying he set a wrong precedent with his "bizarre and unbelievable" conduct. Asked specifically whether all no-balls calls should be referred to the third umpire, Zaheer said, "Regarding the line-call which you are talking about, the no-ball, it has been referred to third umpire on many occasions, specially you see the game has stopped because after a wicket has fallen, (the) umpire (is just) making sure (about the line). "So the measures have been taken but there is some room of improvement. As long as everyone is working in that direction it should be okay." Meanwhile, Zaheer praised death overs specialist Jasprit Bumrah. "If you see that how he (Bumrah) has progressed over the years -- in last four or five years -- that's a clear indication (that) he is thinker of the game and he is always trying out things. He is making use of all the resources which are available with him, which is right...from talking to the senior bowlers to making use of the technology, watching videos, talking to batsmen, so he is pretty good with his processes," he said. Zaheer said young West Indian pacer Alzarri Joseph also has a very bright future. "(He is) a very balanced guy, doesn't like to show his emotions much. You got to give credit to Rohit (Sharma) as well, because is very keen on getting him (Joseph) to the set-up. "He had a dream debut and (will have) a long road ahead of him of success. We hope that he continues with his performances. He is a very good athlete, a good young talent and we sure are benefitted with him being around in the squad," Zaheer signed off.